Essential Press publishes materials for diverse audiences such as educators, students, professionals, and parents. Our publications include resources for dental and orthodontic professionals and are aimed at encouraging the practice of proactive care. One of our publications, Essentials for Orthodontic Practice, is both a text book and an excellent reference source for orthodontic practitioners. 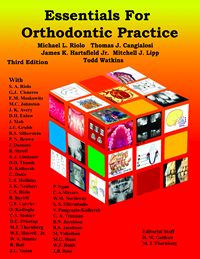 The editor and no less than 31 contributors, in a daunting undertaking, have more than fulfilled their objective... [The book] offers an excellent foundation for the study of orthodontics and is highly recommended." Essentials for orthodontic practice is divided into 4 major sections designed to coincide roughly with the 4 years of dental education. Section I, comprising 5 chapters, discusses growth and development. The first chapter refers to the 8 aspects of development: physical, cognitive, speech and language, personality, social, emotional, psychosocial, and moral. The second chapter describes the mechanisms and events leading to normal and abnormal development of the face and the primary and secondary palates. The remaining 3 chapters relate to postnatal craniofacial development, growth of the craniofacial skeleton, and development of the dentition and occlusion. In Section II, various authors discuss the descriptive terminology, classification, and etiology of malocclusion, for systems and tissue response, tissue engineering, and clinical epidemiology. In lieu of a simple classification system, which at best is difficult to present, the soft and hard tissue craniofacial morphologic variations in 3 planes of space are described, including the genetic and environmental etiologic sites that can contribute to malocclusion (dentition, craniofacial skeleton, and orofacial musculature). The chapter on tissue engineering in orthodontics gives and updated view of the methods and techniques whereby growth can be stimulated and tissue regeneration directed. Section III, "Examination and Diagnosis, comprises 6 chapters. 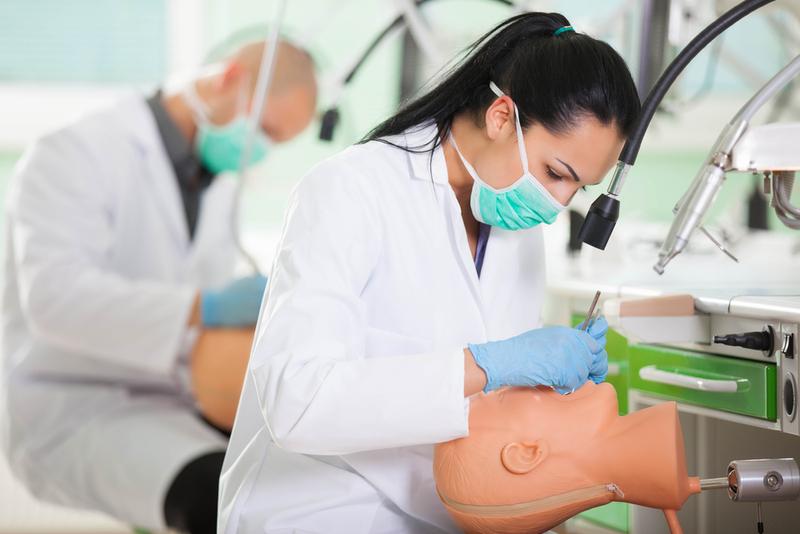 The first describes in detail how to take a personal, medical, dental, social/behavioral, and orthodontic history, and conduct an orthodontic clinical examination by using a patterned rational protocol to arrive at a diagnosis. The next chapter includes a general overview of temporomandibular disorders and related pain conditions from the perspective of the orthodontist. 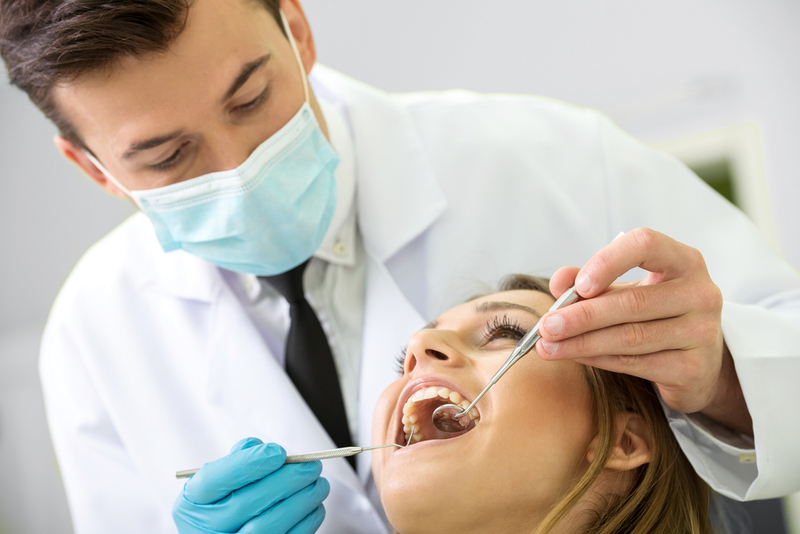 Orthodontic records that provide the basic data needed for sound clinical judgment include photographs (film or digital), study casts, and appropriate radiographs. A hefty chapter is devoted to interpreting the information. Dental dysmorphogenesis (congenital variations in dental morphology), as a consequence of agenesis, aplasia, or dysplasia of the tooth germ, that result in anomalies of number, size, shape, and position of teeth is described in a separate chapter. Cephalometric roentgenography often is not clearly understood by dentists of patients. The intention of the author of this chapter is to give an entry-level analysis of a lateral cephalogram and to what purpose; this has been particularly successful. The last chapter in this section refers to the planning and timing of orthodontic treatment, including excellent guidelines on whether to treat or refer a patient, because the timing of such decisions is an important aspect of dentistry. The fourth major section of the book, "Treatment and Effects, comprises 6 chapters. The first describes preadolescent orthodontic treatment during the active stages of growth and development. The rationale, benefits, difficulties, goals of early treatment, treatment planning, and assessing results are among the topics discussed. This is followed by a chapter on adolescent treatment and another on treatment for adults. Shown are the characteristics observed in the various types of malocclusion in both groups and the available treatment options, including surgery in adults. The chapter on the treatment of patients with craniofacial anomalies shows the reader a variety of abnormal congenital deformities of the face and palate. Emphasized is the multidisciplinary approach to treating these patients. The chapter on "Retention, relapse and the reoccurrence of malocclusion describes retention methods and factors that influence the stability of teeth, causing frequent problems in various types of skeletal and dental type malocclusions. The concluding chapter outlines the adverse effects of orthodontic treatment such as enamel demineralization, periodontal disease, root resorption, patient injuries from orthodontic appliances, extended treatment time, temporomandibular joint disorders, abnormal growth patterns, and nickel allergies. Emphasized is the clinician's responsibility to inform patients and parents of the risks and possible undesirable sequelae. The stated objective of the book is to enable the student and the practitioner to learn the fundamentals of diagnosis, treatment planning, and treatment of basic orthodontic disorders. The editor and no less than 31 contributers, in a daunting undertaking, have more than fulfilled their objective. The presentation, layout, and pagination make it particularly easy to refer to any o the material. Some histologic sections and clinical photographs are not as crisp as one would like, but this does not detract from the book's value. It offers and excellent foundation for the study of orthodontics and is highly recommended.